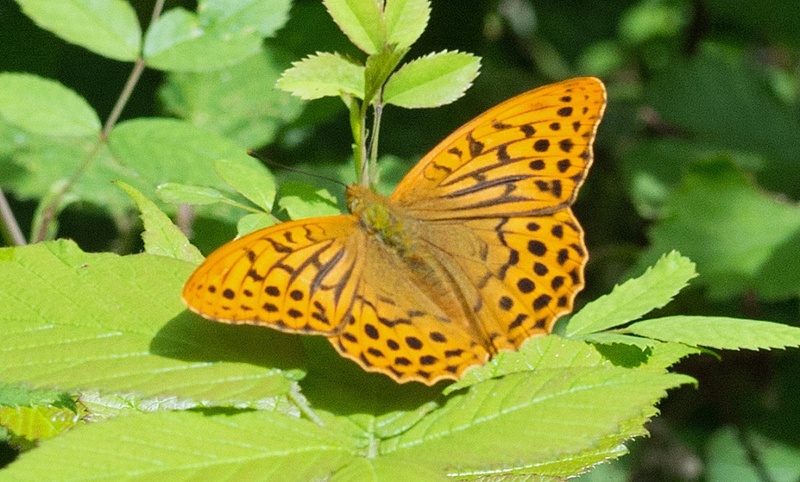 The female is slightly less colourful than the male which has more curved wings, is brighter orange and has dark bands across its forewings, actually scent marks. 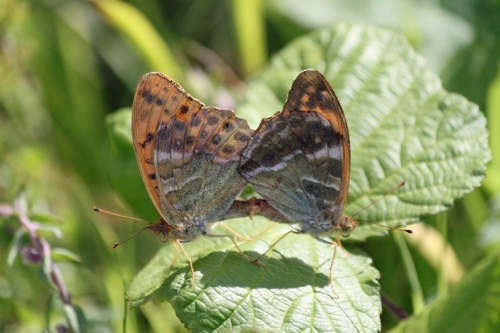 Woodland clearings, especially where violets are present in numbers. 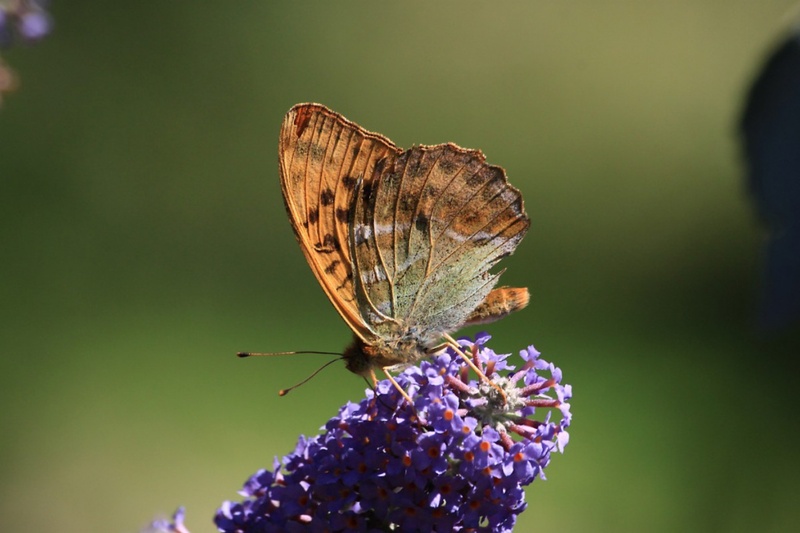 Like many other similar species its caterpillars eat violets. 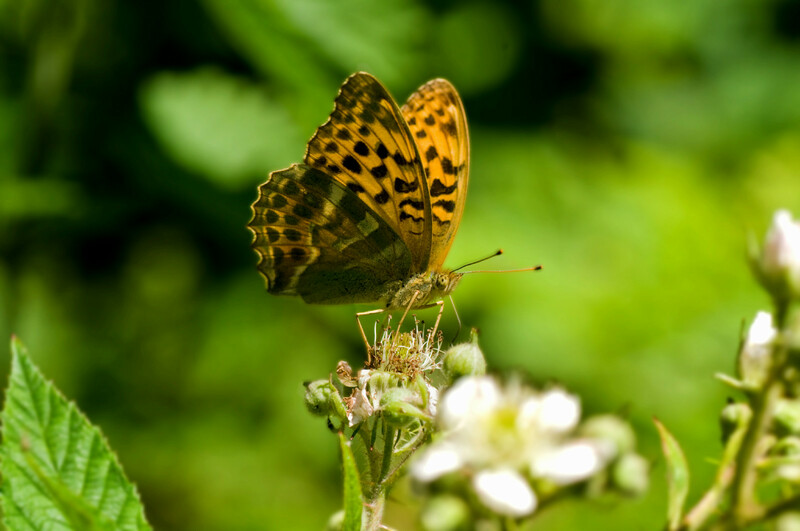 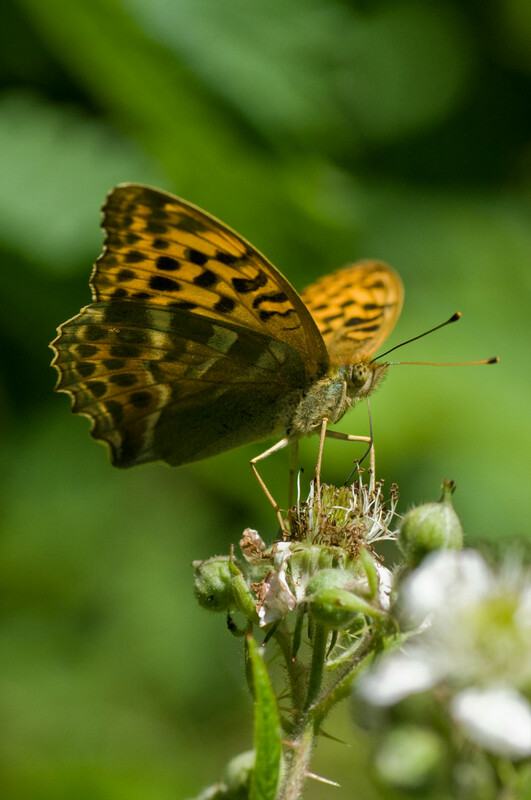 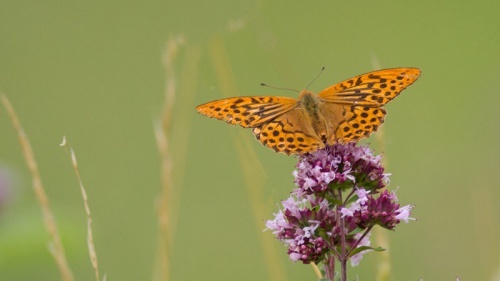 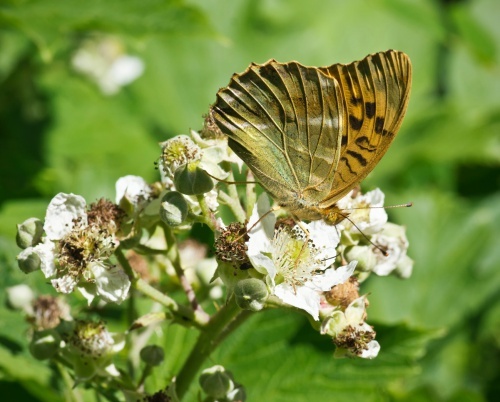 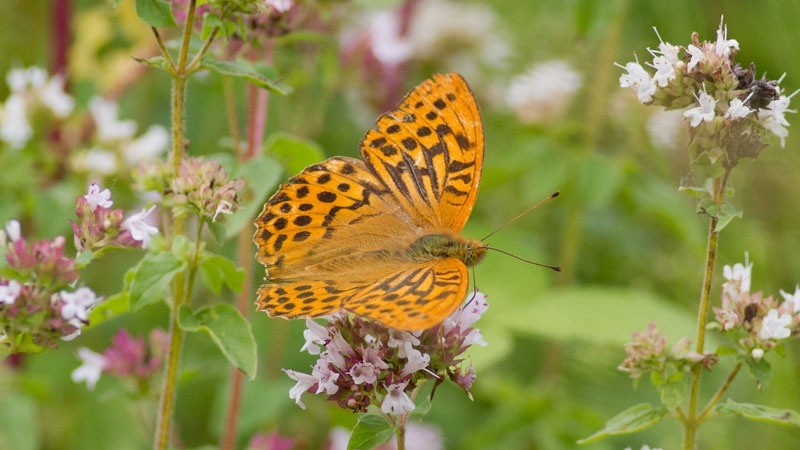 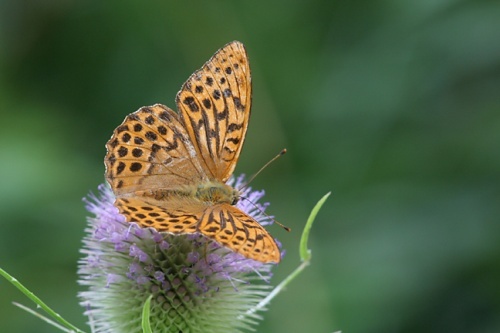 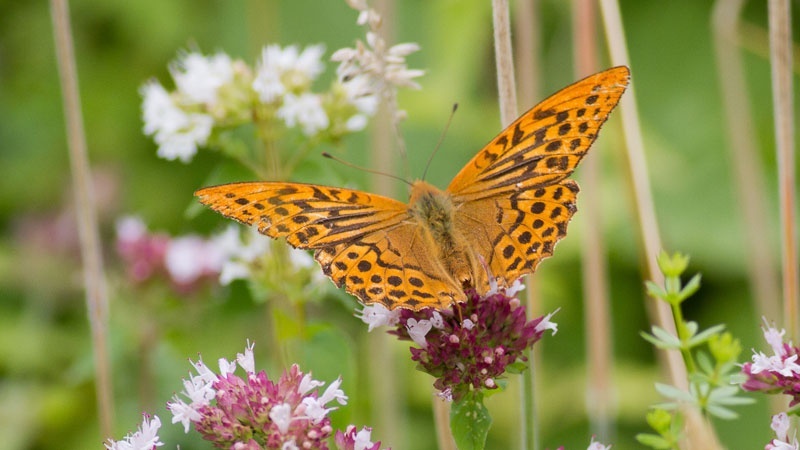 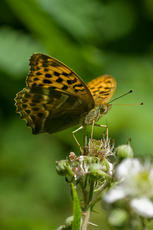 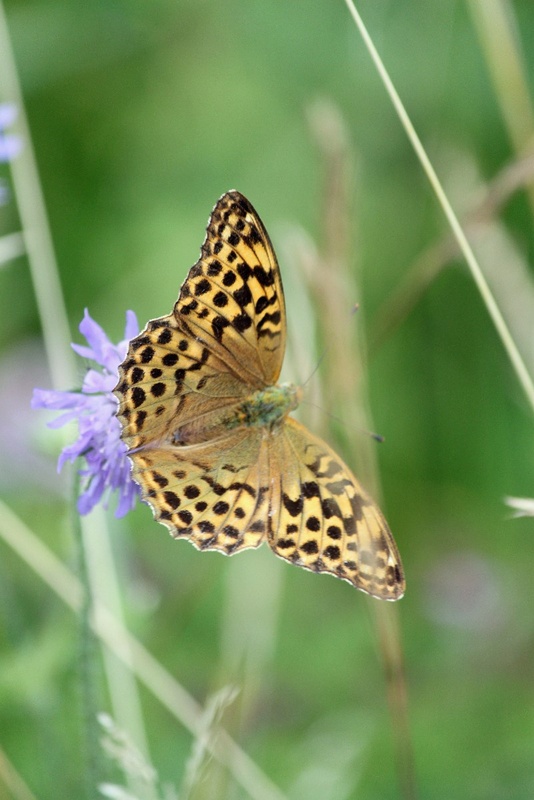 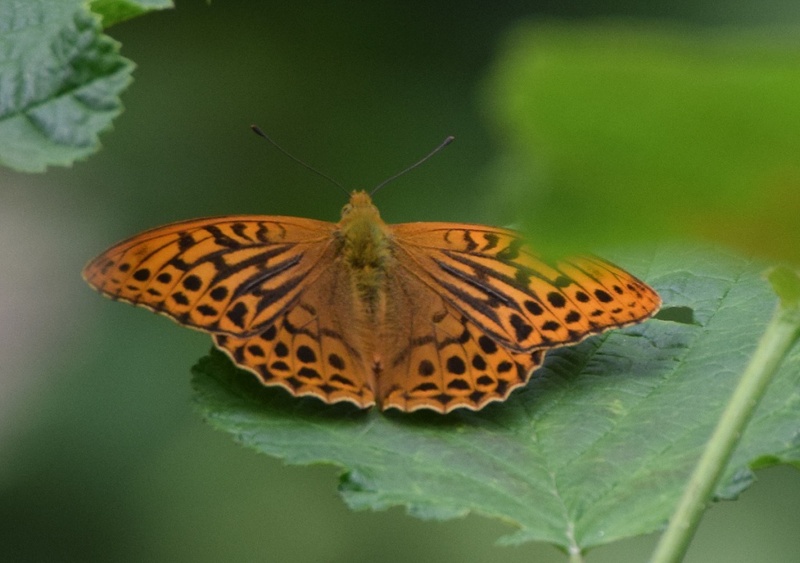 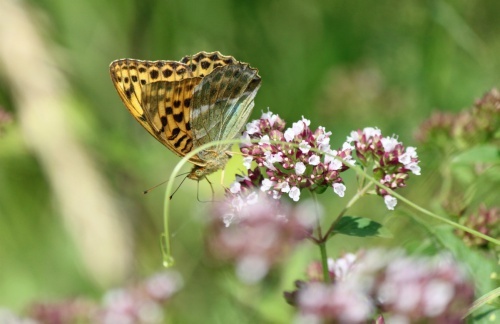 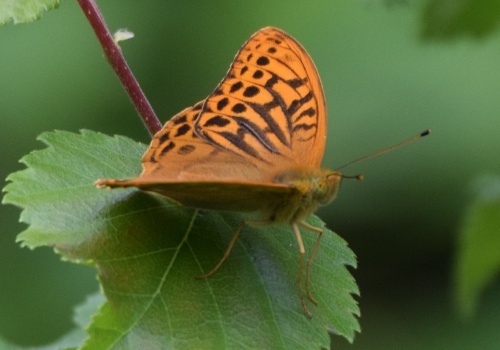 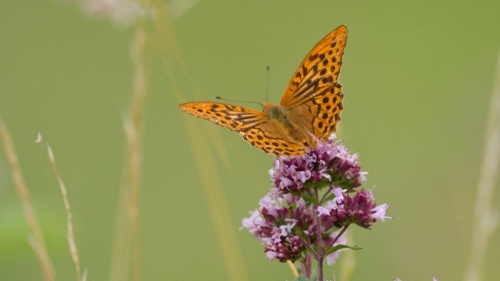 The Silver-washed Fritillary lays its eggs on a nearby tree, and the caterpillars make their way to the foodplant when they hatch next spring. 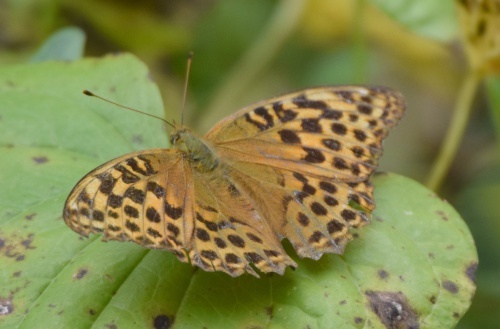 Widespread in the southern half of Britain, but not particularly common. Uncommon in Leicestershire and Rutland with only a handful of records in recent years.